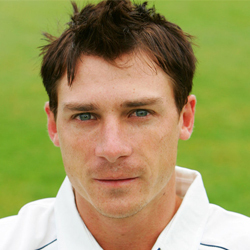 Read information about South Africa cricket player Dale Willem Steyn including biography, profile detail timeline and statistics. Dale Willem Steyn (born 27-Jun-1983; Phalaborwa) is a right-handed batsman and right-arm fast bowler, who plays international cricket for South Africa. He made his international debut in Test match against England at Port Elizabeth on Dec. 17, 2014. 26-Dec-2018: Dale Steyn becomes South Africa's highest wicket-taker in Test. He went ahead of Shaun Pollock, when he picked up his 422nd Test wicket against Pakistan in the Boxing Day Test at Centurion.